Invading into other people’s privacy is not something very ethical but you may need it sometimes. Even though most people would do it just for fun and not to harm others, it can be a necessity. While you are not some professional hacker who can hack into Facebook and other accounts online, you can use Anomor Hacker to serve the purpose for you. Anomor Hacker is a free phishing website developed by anonymous developers. This is definitely one of the best phishing tools which you can use online. It is one of the best alternatives to phishing apps such as Z Shadow Hacker. This is smart and easy. It doesn’t require very hard work or tricks to fool your targets. 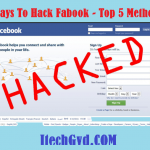 In this guide, we will be teaching you how to hack Facebook with Anomor Hacker. 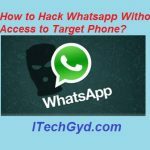 Since Facebook is not the only social media profile which you can hack with Anomor hacker, this will not be all about this guide. 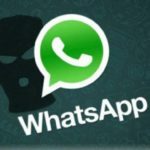 There are tons of other social media accounts and other apps which we can with tools so stay tuned because they are going to be a part of this guide as well. Some of the other ones you can hack with Anomor Hacker include Gmail, 8 Pool ball, and Skype. So without any further due, let us take you to this step-by-step guide. 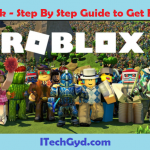 Disclaimer: Before we start and teach you this trick, keep in mind that this guide is just for tech learning purposes We do not mean any harm or ill purpose to anyone. Also, people learning this guide should use it either for fun and something important otherwise, if someone mean harm to anyone, we do not own the responsibility for this. Make sure that you avoid that. Being done with disclaimer, let us come to the main objective now. We will not be starting the primary method of hacking Facebook with Anomor Hacker. Make sure that you have already signed up, and signed in to the account so that you can follow the rest of the process. For those who have not yet created their accounts, make sure that you do so. If you are a first timer and don’t know how to do that, you can scroll down below and learn that. Being clear on that, let us begin with our step-by-step guide to hack Facebook with Anomor Hacker. While you have your link, it is time to bait your target now. Make sure that you give them a reason enough to believe. This is because the target will need to enter its credentials in the bait link. Now they wouldn’t do that without any reason. For Facebook, you could tell them about liking the official page of their famous celebrity or any other thing they like. If you can bait them with this trick, this will be enough. Now send the link to them. When they will open and enter their credentials, their account will be hacked. Once you have converted your target into a victim, all that’s remaining is to collect the hack id and password. For that, login to your Anomor hacker account and in the main menu, find ‘My Victims’ tab. That is where your victims are. The Anomor hacker app is absolutely free to download and use for its users. The app is absolutely free of bugs and errors which cause app crash. It is ad-free so that you won’t be bothered by the ads. Follow the same procedure for hacking but even quicker. 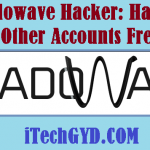 How to Sign up, Sign in, and Change your Passoword in Anomor Hacker? The first step requires you to go on the official website of the tool. Once you are on the homepage, find Anomor Sing Up (Sign up) button and click it. On clicking, you will be proceeded to a registration form which looks like this. Enter everything which is required in this form such as your username, password, re-password, email, age, and country. Once you have entered all that, solve the CAPTCHA below by entering what is written in the box. Make sure that you remember the credentials such as username, password, and email so that you can sign in to website. The first step of course, is to open the homepage of the website. While you are on the homepage, you will see a sign in panel on the left. In the main menu, click the ‘Change password’ button and you will open a new page. On this new page in order to change your password, enter your old password and then the new password. The change password form looks like this. Doing that, you will be successfully able to change your password. And, this is how you successfully hack Facebook with Anomor Hacker. You can also hack other accounts using the same procedure. If you have any query related to the guide, you can ask freely. For more amazing stuff, keep visiting our website. Shes not able to access to that account. The hacker changed all her infos like email id, name n stuff n using the same account changing the name. I want to show him that V can also do the same thing as a punishment n delete the account. V dont know who is that guy. how do i use these method to hack that account? sorry may sound stupid but need help. thank u for ur kindness.